With 10+ years of coaching and 20+ years of racing experience, Tatjana is a certified IronmanU, TriSutto (Brett Sutton), Elite DTU (Germany) and TP level 2 coach. All her athletes, from rookies to World Championship qualifiers, always over-achieved their objectives and never DNF-ed! Профессиональный тренер по триатлону, стаж более 10 лет, сертифицирована IRONMAN, немецкой федерацией триатлонa (DTU), академией Брета Саттона (TriSutto). Тренирую новичков, серьезных любителей и полу-профессионалов. A former national level track cyclist and 18xIronman (2xKona) finisher, Tatjana lives an active endurance lifestyle as a coach and plant-based athlete. She is a certified IronmanU coach (WTC), TriSutto coach with legendary coach Brett Sutton, B-Level Elite long distance triathlon coach (Germany) and Level 2 Training Peaks coach. She holds an MBA and a Master of Sports Technology degrees, worked at the International Olympic Committee and speaks English, German, Russian and French fluently. 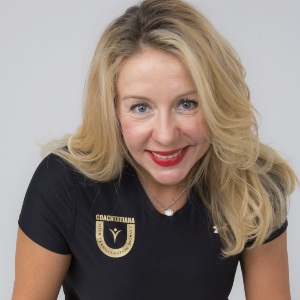 She is based in Switzerland but trains athletes around the world. Her training and her training plans are tailored to each athlete´s needs, objectives and time schedules, based on her deep sports knowledge and experience - but they are also innovative and fun. So expect "plank challenge", "track madness" or "Sunday surprise" and other drills. You can also expect to receive a full service with your training plan: strength & conditioning programs, swim drills, nutrition guidance, mental toughness development, hydration planning for hot races, stretching, cycling mastery clinics, and much more. "weight loss", "best form ever", "happier than ever" etc - and not a single DNF! Reach out to Tatjana - she will be happy to answer all your questions! Success. Coach Tatjana Ivanova, TriSutto (Brett Sutton), IronmanU and DTU certified has been notified of your message. BEST TRI Base Camp I - ambitious and elite AG triathletes, all distances. Winter triathlon training - 12 weeks of building a stronger athlete! Продвинутый план на Ironman <11 за 16 недель - для опытных и фанатов спорта! To hire Tatjana Ivanova, TriSutto (Brett Sutton), IronmanU and DTU certified as your coach, select the coaching service that is right for you.